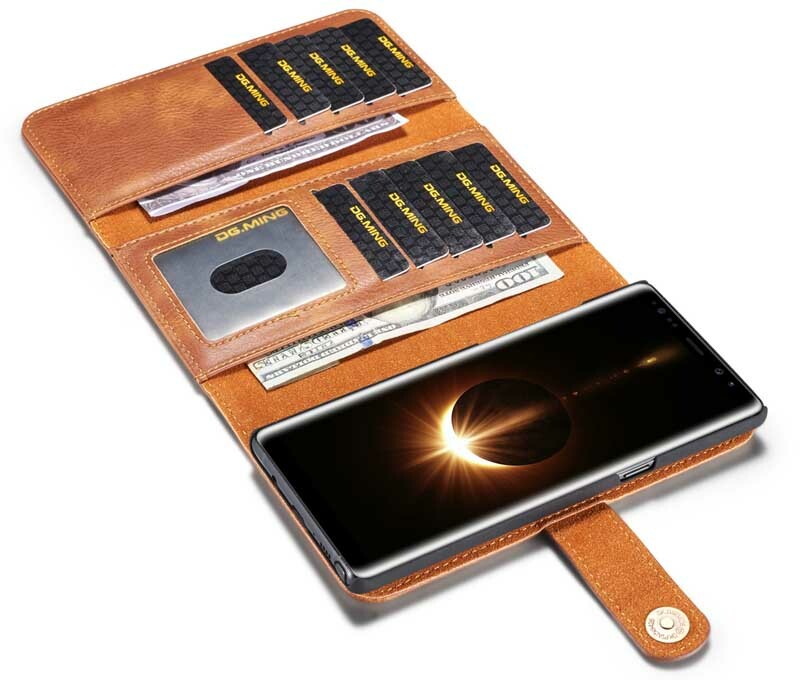 Free Shipping, Buy Original DG.MING Samsung Galaxy Note 8 Premium Genuine Leather Cowhide 3 Folding Detachable Magnetic Wallet Case with 15 card slots and 2 cash slots at casemecase.com. 1. Premium improved genuine cowhide leather material used, soft and weil felt. 2. 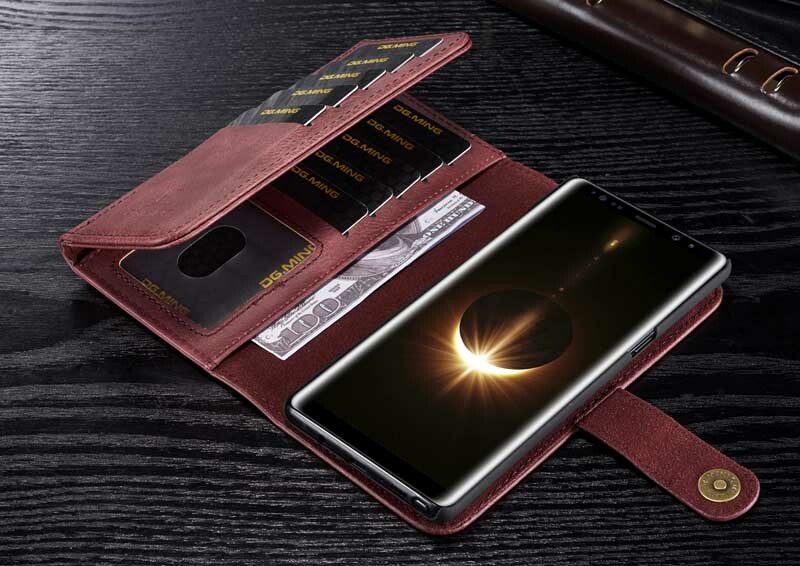 3 folding design with high quality magnetic closure makes your mobile phone safer and more durable. 3. 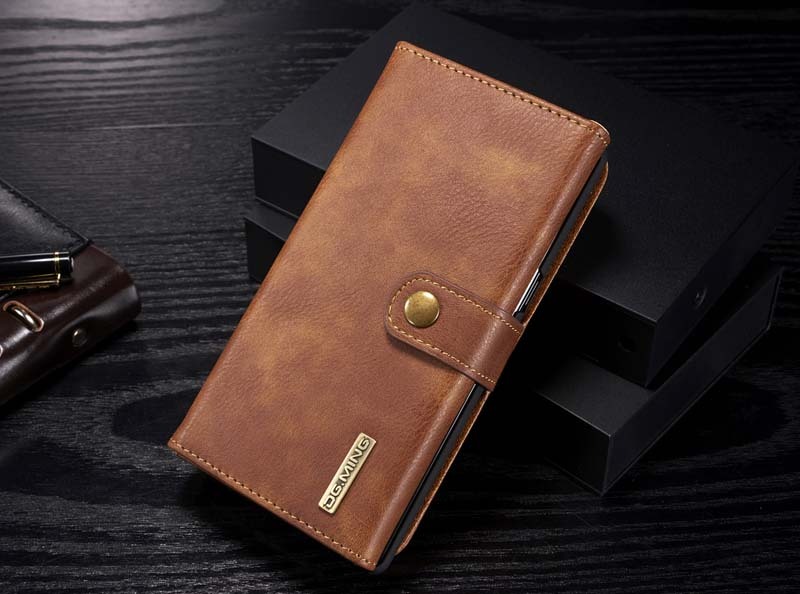 True wallet case with 15 card slots and 2 cash slots, the wallet case and the back cover can be used seperately. 4. Stand function used as a kickstand when necessary. 5. Perfect outlets: easy access to all smart connectors, cemaras and all ports. 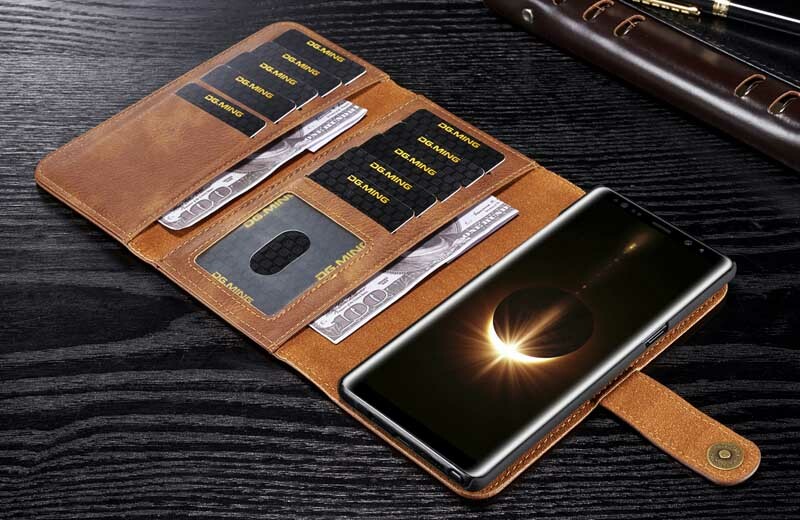 It folds out with 15 cards slots for Photo /ID/Credit Card/Money/Bills. 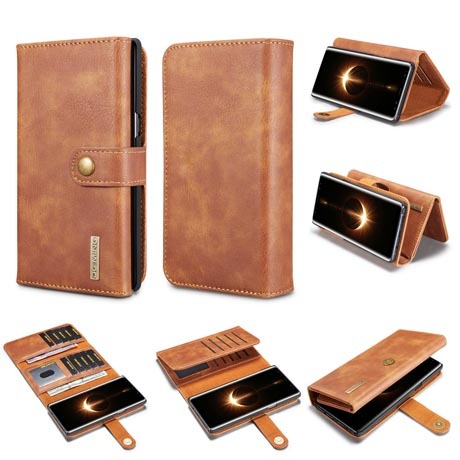 Smart Design allows you to easily flip the inner holder to access all your cards conveniently. 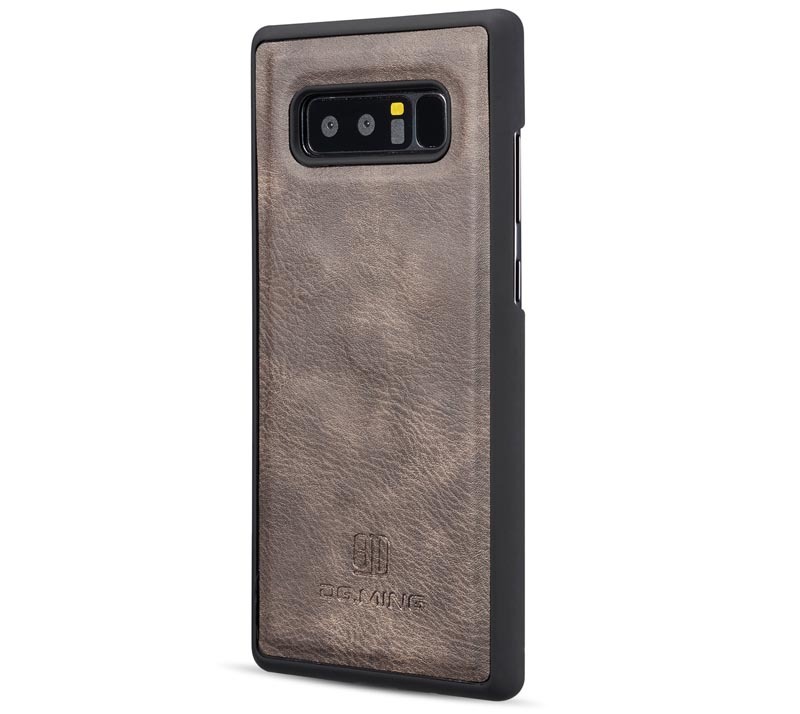 I love this case very much. It is better than similar case that had glue to the inner case. 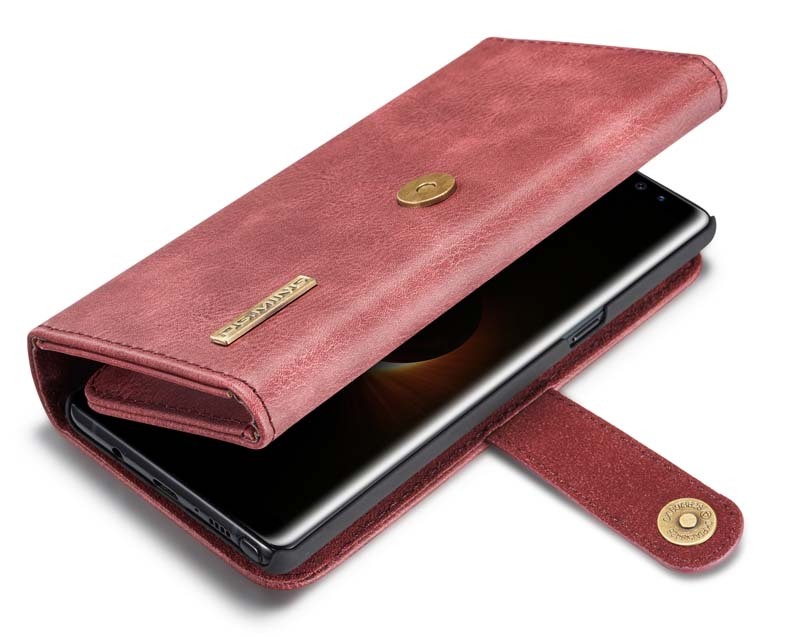 This one ismagnetic and I can still use the inner case by itself if I have slim purse and do not want tocarry bulky case. Both the inner case and the outside case are beautiful.